30-gallon linen hamper bag. Washable, PVC-lined, leak-resistant bag features zippered front access for easy emptying. 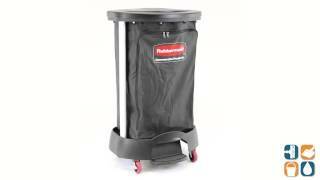 For use with the Rubbermaid Premium Linen Hamper (sold separately). Black. Washable. Complying with OSHA regulation 29 CFR 1910.1030 Occupational Exposure to Bloodborne Pathogens. Includes one bag. 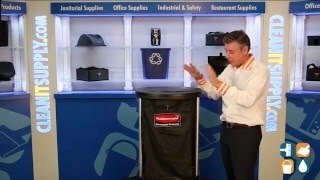 CleanItSupply.com - The wholesale cleaning supply company that buyers trust.